As I was reflecting on the end of the protective styling challenge coming and anticipating the length of my hair, I realized it's officially been one year since I started this whole "hair journey" thing (I really don't like to call it that lol!). A full year of researching and being intentional about my hair care with the purpose of growing my hair down my back. Yaaay! It's always great when you commit yourself to doing something and can look back and see the progress that has been made because you stayed committed. I like to think I had a nice amount of hair knowledge and a solid head of hair beforehand. Fortunately for me, I didn't start this with a head full of damage to overcome. I just felt like I was stuck at just past shoulder length hair, despite the fact that I always had a significant amount of new growth every 8-10 weeks. It was a conundrum to me. So I brought it up to my stylist (whom I love!) and was catapulted into this whole world of hair science, tip, tricks and healthy hair enthusiasts. I would have to say that this past year has been a great success! I haven't had any setbacks and I have made, what I consider to be, a significant amount of progress. My hair is so thick now, and slowly, but surely, it is inching down my back. I don't think my hair has ever been this long (or healthy!). Nor do I think I actually knew too much about what my hair needed before I started this. My hair is now thriving, from learning information that, initially, I thought was just doing entirely too much and applying it to my hair care. When I first started reading about all these BLACK women talking about washing and deep conditioning their hair weekly (sometimes more often! ), and moisturizing and sealing daily and blah blah blah. I was like... "-_- you're kidding me right? That's doing entirely too much! I don't eva gots the time for that!..." Not to mention the loads of hair myths that entered my mind at the thought of doing some of these things. Ha! Boy was I wrong! Even though I thought these ideas were ridiculous, I was still willing to at least try them out. Why you ask? Because the women who were going on and on about these tips had beautiful heads of hair! Like heads of hair that made me no longer consider my hair to be allll that. I wanted that. So I went for it and I'm so glad I did because they worked. My scalp now gets a serious attitude with me if I try to go two weeks without washing it. My hair cries when I don't moisturize and seal. And I feel like something is wrong if I haven't deep conditioned in over a week. I don't even remember the last time I used my curling iron. It's no longer my go to when my hair's not working the way I want it. Check out my full regimen here (got a new tab up there, too!). I have learned so much and I know I still have so much to learn. 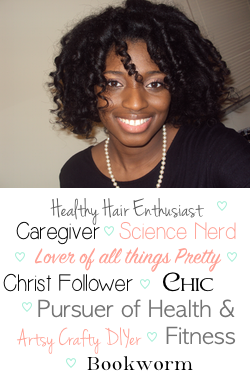 The nerdy girl in me loves all the [good] science research behind many of the hair rules I now follow. While I haven't had any setbacks, it certainly wasn't easy getting myself used to this whole new way and mindset of taking care of my hair. Old habits die hard and progress is a process. So to any of you ladies who have just started out, only been going for a matter of months, or even have been in this longer than I have and are just not seeing the progress you would like - I say: STICK WITH IT!! I was blessed to kinda know my hair and have a stylist, who definitely knew my hair and was big on healthy hair practices, to give me the push I needed. 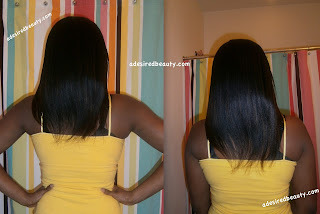 It really boils down to learning your hair; what it loves, hates, and needs. 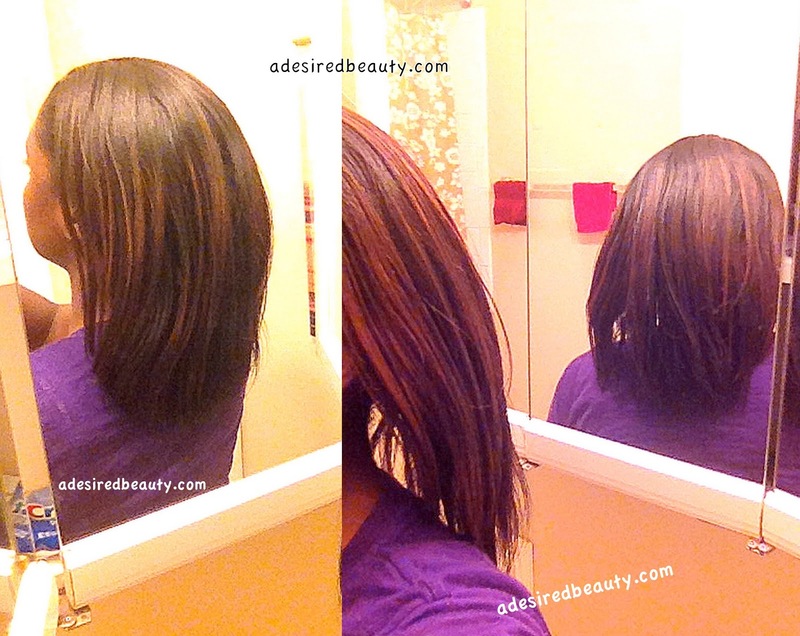 What works for me may not work for you, that's a serious annoying truth of hair care. However, learning will always be worth the time it took in the end. I totally agree with with all the points you raised! Thanks Andrea!! I believe that too! Good work girl! You've done a lot in a year it looks great! Thanks Bebe! I'm glad to hear that!! Congratulations on hitting that one year milestone. I enjoyed reading your post a lot of your initial opinions about hair regimens made me laugh because I went through the same thing. Lol. Great progress so far and good luck with your future goals! Lol thanks Kim! Glad I'm not the only one that went through that.